In a ceremony held in Mexico City on 22 August, Dr Christoph Frei, Secretary General of the World Energy Council and Pedro Joaquín Coldwell, Secretary of Energy, signed a joint declaration to support capacity building and talent development through the roll out of a new government training scheme offered to exceptional Mexican candidates. The Memorandum of Understanding cements an agreement between the Council and Mexican government, to support capacity building of SENER’s policy priorities specific to its energy systems, markets, and resources. It will include delivery of an in-depth exploration of Mexico’s energy trilemma, consisting of three core dimensions: energy equity, energy security and environmental sustainability. Mega trends, technology led innovation and regulatory conditions are changing the nature of mobility, bringing new opportunities as well as challenges. As the energy sector undergoes a period of rapid transition there has been a surge in the demand for increased car-sharing within Europe and beyond. 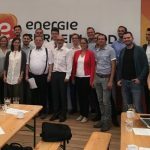 In this context the first Network Meeting of the second cycle of Austria’s Young Energy Professionals Program (YEP), “Mobility in the context of the energy transition” was held last month in Burgenland, Austria. 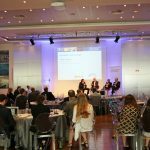 More than 70 participants from Europe, Algeria, Saudi Arabia and the United States convened at the 7th European Energy Forum in Paris recently, to explore the evolution of the oil and gas industries in a context of low carbon transition. The forum also addressed the long-term impacts of the policies on the strategies of national and international oil and gas companies, as well the policies of producing countries. 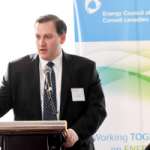 In a keynote speech, Olivier Appert, former Chair of the Conseil Français de l’Énergie and Advisor at the Energy Centre of the French Institute of International Relations, outlined medium and long-term trends that are likely to drive the strategies of the stakeholders in these sectors. The Council is to facilitate an exclusive roundtable featuring international energy leaders at a premier event to be held in Wellington, New Zealand. The BusinessNZ Energy Council (BEC) and the Council will host the Energy Leaders’ Summit from October 31 to November 1 at the Museum of New Zealand, Te Papa Tongarewa. Energy sector leaders from around the world will gather to share insights and lessons about key energy sector trends, and the challenges and opportunities they imply. New Zealand Government Ministers Megan Woods (Energy and Resources), and James Shaw (Climate Change), will deliver keynote addresses along with representatives from Amazon, Bloomberg, and the Silicon Valley.